Flat Plates are one of our easiest options for setting gemstones, all you need is glue! The same applies to Milled Edge Settings which uses the same technique. 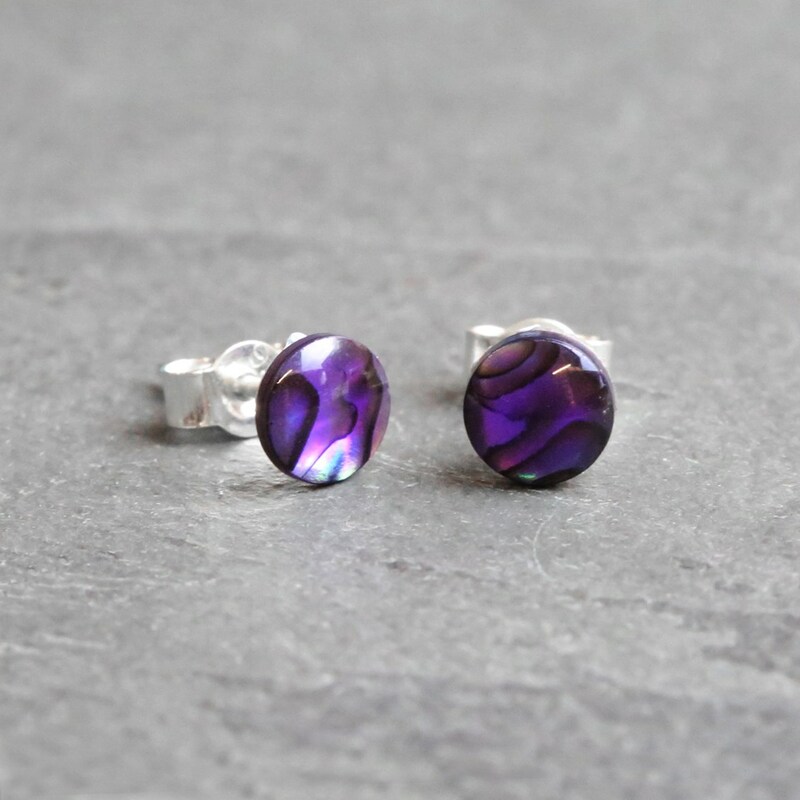 On this page, we will show you how to set gemstones within these settings and also give some examples of both our settings and jewellery you can make from them! Flat Plate Setting or Milled Edge Setting (to browse our setting click here). Your connectors or chains depending on the item that you are making. Take your chosen setting and gemstone and make sure you are happy with the way that they fit together. Test this by placing your stone on to the setting and ensuring there is no excess space - or too little space. Place your setting on a flat surface, and make sure the surface of the metal is clean from any greasy marks. Place your stone on to the top of the glue and apply a little pressure making sure it is pressed down and central to the setting. 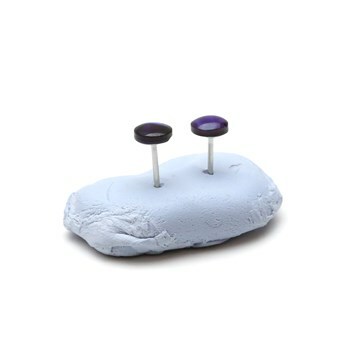 A handy tip is to push the post of the earstud into some blu-tack to keep it upright whilst the glue is drying. Make sure you wipe off any excess glue that may have spilled out before it dries. Once the glue has dried and your stone feels nice and secure your setting is complete! Now just finish as required for the item that you are making and enjoy your new creation. 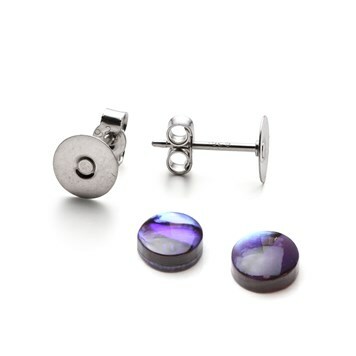 In this image we have used our flat plate earstuds 4mm settings with 5mm purple paua shell round cabochons. 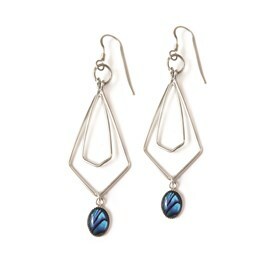 These paua shell diamond earrings are a lovely, wearable shape which use basic wirework techniques to create the popular geometric look. Click here for step by step instructions on how to make this look! 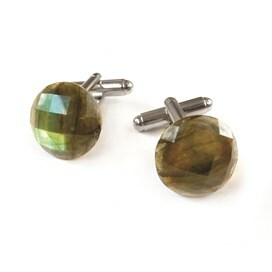 In this project we have used silver plated settings with a 11mm flat pad and a pair of beautiful labradorite faceted top cabochons. However, the beauty of these settings that you can choose any number of different gemstones from our large selection to glue on to the setting. Click here for step by step instructions on how to make this look. 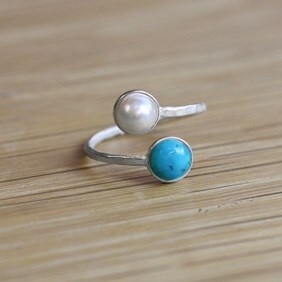 The ring setting used to make this ring takes two 6mm round cabochon gemstones, we have used Turquoise which is the birthstone for December and a Pearl - the birthstone for June. For step by step instructions on how to make this look click here. In this project we have used a selection of different sized gemstones but you can choose different stones from our large selection of cabochons. 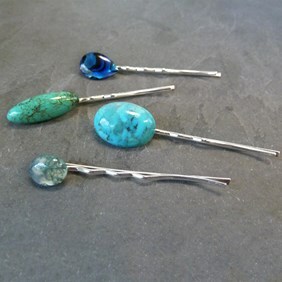 We sell our hairgrips in a pack of ten so you can choose a selection of stones! For step by step instructions on how to make this look click here.